Well, the news has been released about Woodworking In America 2012. There will be two conferences!! They are planning the first in Pasadena, California on October 12-14 and the second in Cincinnati, Ohio/Kentucky (it's at the Northern Kentucky Convention Center) on November 2-4. Personally, I think two conferences, one on either side of the country (roughly), is a great idea which may end up reaching a larger audience in the long run. I wonder, though, if this will reduce the community gathering aspect and sharing between the different styles, practices and views of woodworking across the country? Left Coast woodworking design and styles are often rather different than some here on the Right Coast and this conference seems like one of the larger opportunities for a lot of those ideas to get exchanged and discussed. I will definitely be attending one or the other this year (my wife has signed my permission slip) and I'll provide photos, videos and hopefully post an interview or two on the blog after I return home from the conference. Cue dream sequence music... maybe the committee will have some sort of collective awakening and have a conference in Baltimore or DC in 2013! 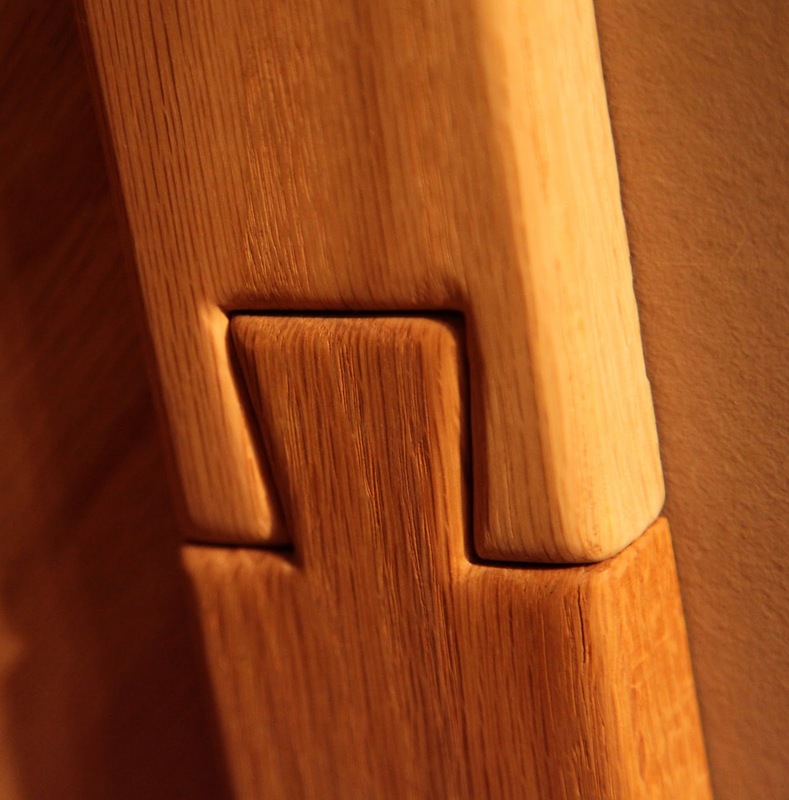 For a long time I have used a protractor, a small piece of wood and a marker to find angles on my chisels. Well, the protractor, which I have had since elementary school, finally bit the dust (both literally and figuratively on my shop floor). 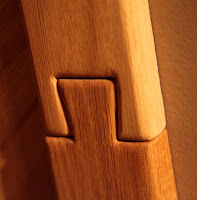 I thought about making some blocks of wood with varying fixed angles cut into them to measure the angles on my blades, but these wear over time, are of varying precision, and eat up space on a shelf. 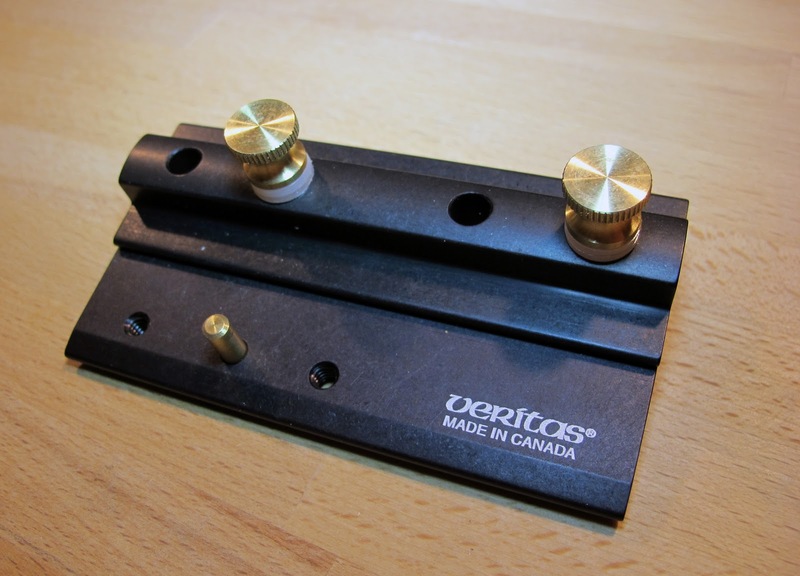 When I was looking for the Veritas Grinder Jig, I found several different styles of "angle finders" on the market. Most of them were just fixed angles that you slide the blade into to approximate its angle. These work well and are very simple to use, but I wanted something I could use to measure an exact angle like my protractor, you know, for those times when 33 degrees works differently than 35 degrees. This is why I decided to spend slightly more and get this Pinnacle Angle Gauge. The gauge works, effectively and simply. It is very accurate and is a high quality build. I am very happy with it so far, and recommend it if you are in need of something similar. Struggling with getting perfect angles on your tools at the grinding wheel? No? Well then stop reading here. Freehand sharpening at the grinder for chisels and plane irons just hasn't proven to be accurate enough or repeatable enough for me. I built a couple of home made stands and jigs, but none of them were as accurate, adjustable and sturdy as this Veritas "Grinding Tool Rest" and "Grinding Jig." These are sold separately but work together, the "Grinding Jig" also works with the tool rests that often come standard on most grinders. As for the grinder itself, I recommend a variable speed (like this Delta) or a low speed grinder if you can't find a variable speed one. I promised myself several months ago, when I started this blog, that it wouldn't just become a collection of random media I found while foraging through the lush forest floor that is the interweb. Now, I promise you that this blog will not turn into a giant collection of other people's videos. I want to post as much original content (a subjective concept, I know) on this blog as I can, so that there is a reason for it to exist. That being said, I do plan (from time to time) to post something like the video below, that I feel is informative, aesthetically pleasing, well produced, and worth your time to watch. Last weekend (January 6-8) at the Maryland State Fairgrounds there was a Bridal Expo!! But the entry fee was $15. 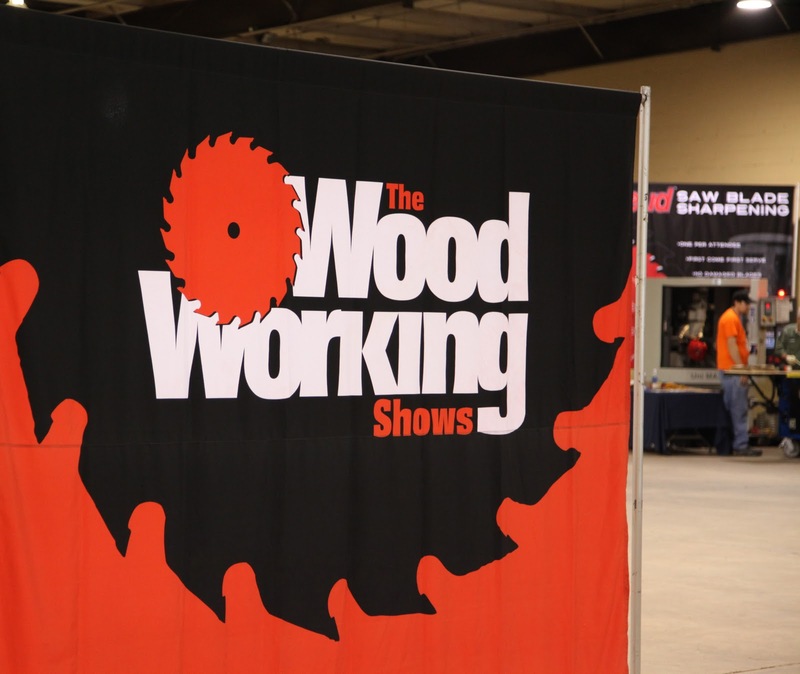 So, I went next door to "The Woodworking Shows" expo where the entrance fee was only $12 and with my handy dandy $2 off coupon I snuck in for a mere $10..."winner, winner, chicken dinner." Due to some family stuff on Saturday I couldn't make it to the show until Sunday, but fortunately all the vendors were still there. I was a little disappointed, however, because I missed Tommy MacDonald's seminar which was on Saturday, but I did get to catch several other great seminars throughout the day on Sunday. The venue was slightly smaller than I had expected, but, it was chock full of great vendors, presentations, displays and demonstrations. I was also really happy to see a lot of local groups, clubs, schools and businesses in the mix. 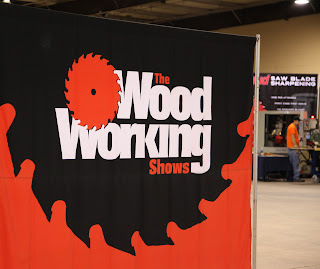 Sometimes when you go to a venue like this one, it consists of a lot of big name tool manufacturers and only one or two local guys, but this show had a bunch of businesses from in and around the Maryland area which was great to see! Hannibal Lecter, Teacher, Leader, Role Model? I am not by nature or nurture a planner or an impeccably organized person. I have always been more of a spontaneous mess, a character flaw to which my friends and family can certainly attest. To be truthfully honest, I hate not being more organized, neat and methodical. I am, however oddly enough, a habitual cleaner. I cant stand things being dirty like a messy sink, dirt on the floor and wood chips in my planes. Unfortunately for me, my need for things to be sanitized apparently does not actually translate into picking up my toys once I clean them. January 1st (I know its the 4th) is always one of the most exciting days of the year for me (once I wear off the night before). I love the start of the new year because it is one of those man made moments where you feel like anything might be possible...this year. The fact that it is just another day, the sun still rises in the east and the earth continues to spin, seems to have no bearing on the emotional contribution new years day continues to provide me every year. I wasn't actually planning on doing a video directly related to honing, but the more I thought about sharpening, it seemed somewhat lazy to not include it in the set. Also, I had a nightmare that someone out there was struggling with plane blades that were only razor sharp, and not ridiculously sharp (the obvious next level of sharpness). It still makes my skin crawl. This video is long, I know. I am incapable of talking for less than twenty minutes on any one topic, just ask my wife. YouTube has been kind enough to allow me to post a video longer than the old limit of 15 minutes so the videos no longer have to be split up into several segments. Hopefully, they don't suddenly realize their mistake of letting me make long videos and decide to take away my camera. 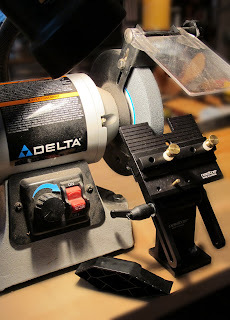 The next video will be on fettling, tuning up and restoring hand planes, after that it's on to Power Sharpening. If it isn't available in HD yet, check back. It occasionally takes YouTube a little extra time to publish larger files.